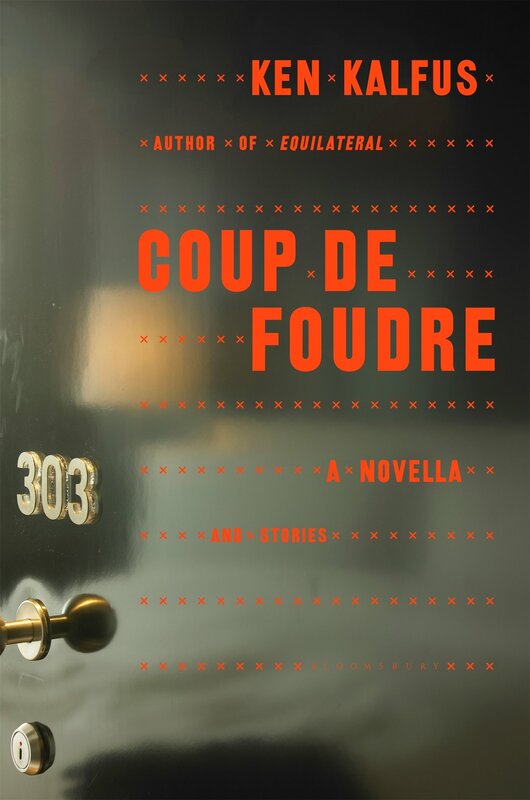 Odd, weird, satirical, funny, and compassionate are just a few of the words that describe the 15 short stories and one short novella with which Ken Kalfus has blessed his readers in Coup de Foudre. Each story reflects some aspect of a coup de foudre, a sudden, unexpected event or a bolt from the blue. Love at first sight is a common example. It is this latter example that drives the title story, except that “love” is lust played out on a grand stage. Published initially in Harpers to critical acclaim, it is based on the true story of a sexual assault in New York City. Dominique Strauss-Kahn, who was chief of the International Monetary Fund, a serious candidate for president of France, and a known sexual libertine, was accused of assaulting a hotel maid. He has just recently been acquitted of charges in France and is free. In this satirical account, David Landau (read DS-K) provides us with his account of what happened. Never denying that he did it, he justifies his actions because he has done this many times before and always reached a private settlement. The narrative juxtaposes his sexual hijinks with “sweating and grunting, spitting and groaning, I had wrestled to the ground the unwieldy, oily numbers that underlay the disintegrating Greek economy.” In the form of a letter to Mariama, he notes that it happened primarily because she chanced to have come into his hotel room just as he emerged from the shower, so lust at first sight was okay in his world view. Part Two, “Factitious Airs,” contains seven stories that center on the themes of artificially created events in which characters pretend to be something they are not. “In Borges Library” the protagonist, an old man, dies in the library after reading a book that suggests he had been reading everything wrong all his life. How, the narrator wants to know, do we recognize whether we read correctly or how others read? He says that “the value of a story doesn’t depend on its being taken literally.” The very short — only 3 pages — “City of Spies” is a commentary on our world-wide emphasis on spying. Christopher Czarnecki loves Z., a beautiful city filled with spies. The only way to prove one’s loyalty is to spy on others so spies spy on spies who spy on spies. Part Three, “The Future,” features eight stories that imagine a world in which results are not what one would commonly expect. In “Mr. Iraq,” Adam Zweig is a writer for a small but influential political journal in the post Kerry-Bush world of 2005. He believes that the provision of decent medical care is a fundamental issue, and he has researched and nearly completed article arguing all the salient points. His submission on a tight deadline is overdue when his mother calls to say his 81-year old father has been arrested at a protest. What will Adam do? How will his article be affected? What is his future? The sections include stories taken from real events and imbued with Kalfus’s perspective, while other stories spring full blown from the fertile imagination of one of our most inventive contemporary writers. It is almost as if Kalfus sat down one day and wondered “what if, then…” These stories, whether three pages or 30, are provocative and entertaining, a joy to read and think about, and read again.